Chatter concerning the Motorola MPx220 has become more detailed in the last few days. Some claim that stores already have the device in stock. AT&T Wireless has images of the phone residing on its server: # Large # Small The images of the Motorola MPx220 on AT&T Wireless' site show the phone in a different color set than the images directly from Motorola. It is not uncommon for carriers to have custom colors. AT&T Wireless often launches phones on Monday [example 1, 2] which leaves the 4th, 11th and 18th as good possibilities for launch. The Motorola MPx220 was officially announced in July, but had info about it leaked for months prior. 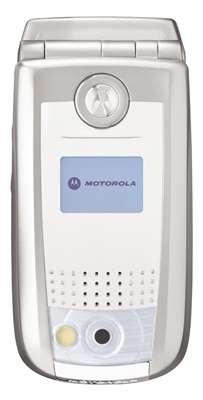 Features of the Microsoft powered smartphone include: * 1.23 Megapixel camera with zoom/flash and video recording * Bluetooth * Quad-band GSM * Windows Mobile 2003 Second Edition The MPx220 is expected to ship on both AT&T Wireless and Cingular Wireless. More images of the phone are available after the jump. Pricing is said to be between $300-400, depending on rebates. Currently the Motorola MPx200 (the predecessor to the MPx220) is selling directly from AT&T Wireless for $339.99 after a $70 instant-rebate. Online retailer Amazon.com is selling the same device for $49.99 after $225 in mail-in rebates.